Window's Migaki - Kampai! : Kampai! Distillery: Komasa Shuzo Co, Ltd. The first thing you notice about Window’s Migaki and its sister shochu Window’s Mugiichi is the “window” of the bottle with artwork by artist Ichiro Tsuruta. Our photo doesn’t really do this artwork justice (her face isn’t crooked). Don’t let the pretty packaging fool you (with many wines the artistry of the label is directly inversely related to the quality of the product inside). 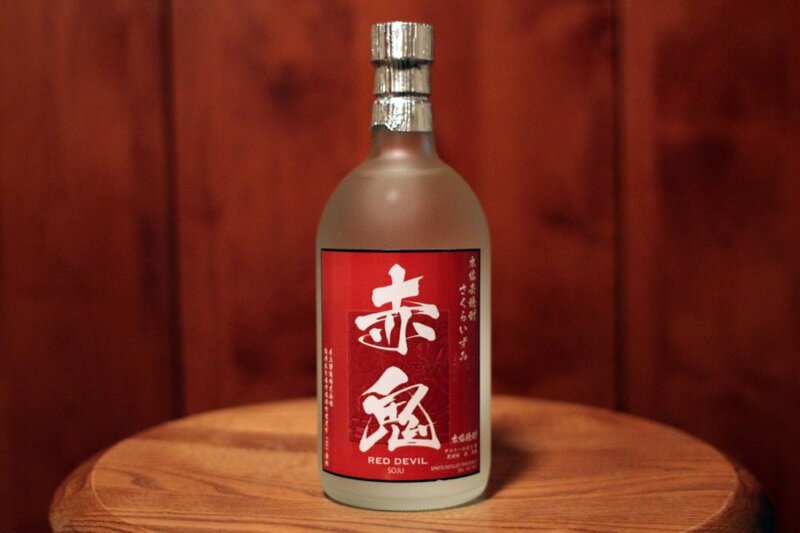 Window’s Migaki is a barrel aged barley shochu (Mugiichi is this same shochu unaged) of the highest quality. 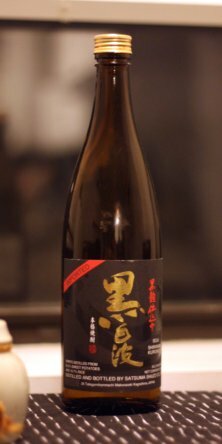 Unlike many other barley shochus, which are aged in used whiskey barrels, Migaki is aged in virgin American white oak for more than three years. As a result of the virgin oak, the aroma of Migaki is much lighter than other oaked barley shochus with just a hint of the wood rather than an overt whiskey aroma. The taste is mellow on the tongue with forward sweetness with an underlying spice. The spice sharpens in the finish while a round buttery mouthfeel permeates the palate afterward. Interestingly, pouring this shochu over ice brings out a pronounced wooden vanilla flavor that lingers in the finish, completely replacing the spice found when drinking straight. 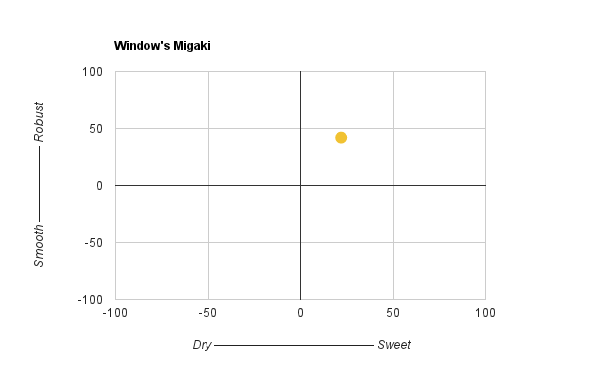 Window’s Migaki may be the first barley shochu we’ve tried in which the barrel aging does not bring out whiskey flavors, but creates a flavor profile completely unique to the spirit. The wood is apparent, but not obvious. The vanilla and spice notes are delicious. There are plenty of barrel aged shochus to choose from in the U.S. market (in Japan they make up a very small fraction of the shochu market) so you should spend your time trying the various brands to find your own favorite. 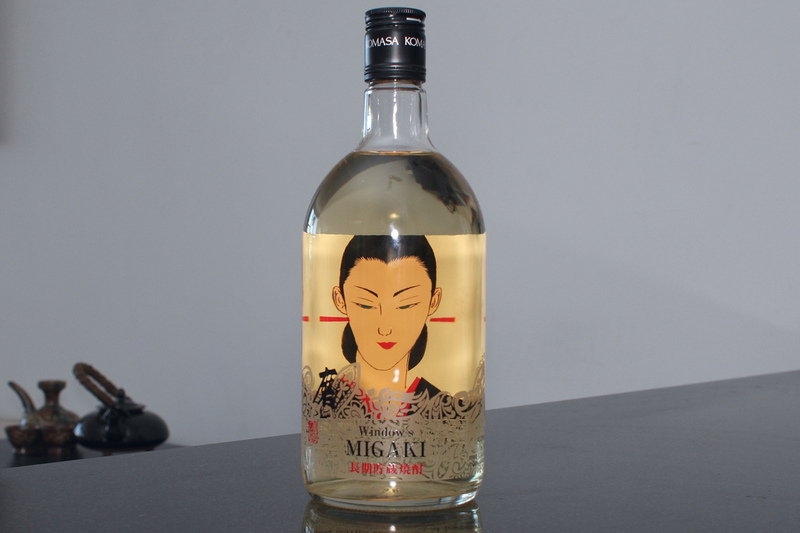 Window’s Migaki should be on that list – and not just for the pretty lady inside the bottle. Where can one purchase this in the USA? Beautiful bottle, beautiful taste. Absolutely delightful on the rocks. You can drink this excellent mugi shochu 麦焼酎 glass after glass. Great with food/snacks, great by itself. This is hands down A WINNER!!! LaMonte Heflick ASP, Sake Education Council Feb 2014.
appear on the Webpage it is available. Just ask Rick or Hiroko. Tenpai is an unexpected treat. 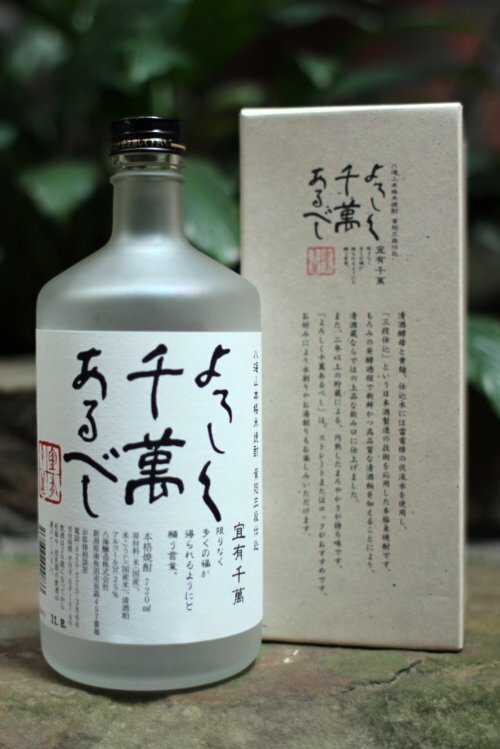 A mugi shochu, which from previous experience we’d expect a light, neutral flavor like Yokaichi or a rich, sweetly whiskey note like Kannoko if aged in oak barrels. Tenpai defies both of those expectations.